The Heritage Hatchery in Tasmania is designed to flow through typical English garden landscaping. One could sit for hours in this tranquil environment....and I spent a few watching trout, salmon and other fish swimming beneath the extremely clear water. 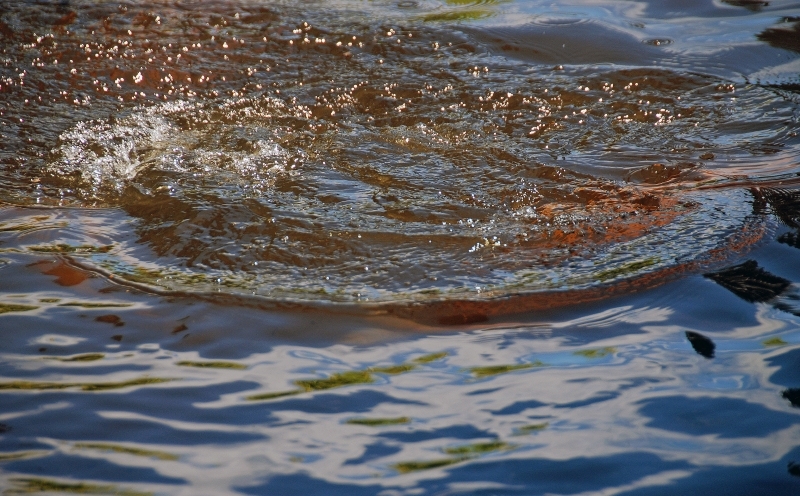 Occasionally, the fish would jump out of the water, creating interesting circles and ripples in the pools.